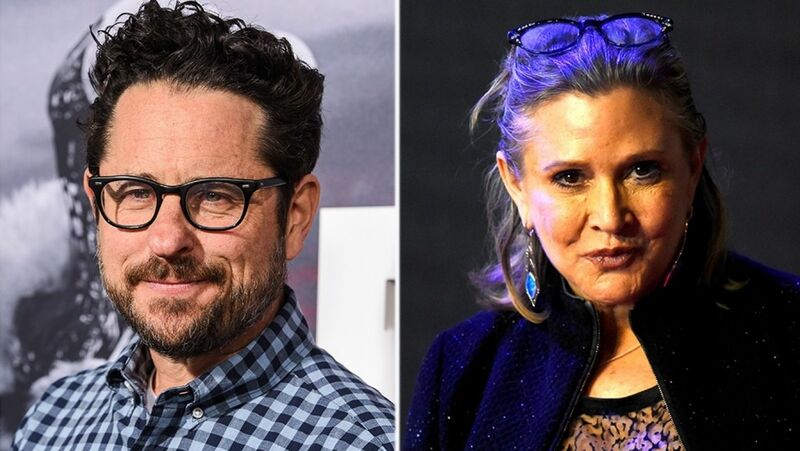 The director celebrated the first day of filming "Star Wars: Episode IX" on Wednesday by joining the social media platform for the first time, giving a special shout-out to the film's cast and crew, as well as those who couldn't be there. "Bittersweet starting this next chapter without Carrie, but thanks to an extraordinary cast and crew, we are ready to go," he wrote, paying tribute to Carrie Fisher, who died in December 2016. "Grateful for @rianjohnson and special thanks to George Lucas for creating this incredible world and beginning a story of which we are lucky to be a part. #IX." Johnson replied with possibly the most perfect response ever, while star John Boyega posted the same pic to his Twitter. "First day of filming done!" he captioned the snap. Disney and Lucasfilm confirmed on Friday that Fisher would be appearing in "Episode IX," which is set to hit theaters on Dec. 20, 2019. The late actress will be included using unreleased footage from 2015's "Star Wars: The Force Awakens." “With the support and blessing from her daughter, Billie [Lourd], we have found a way to honor Carrie’s legacy and role as Leia in 'Episode IX' by using unseen footage we shot together in 'Episode VII,'” continued Abrams, who co-wrote the script with Chris Terrio. Mark Hamill will also star in the film, alongside Anthony Daniels (C-3PO), Billy Dee Williams (Lando Calrissian) and newcomers Keri Russell, Naomi Ackie and Richard E. Grant.